These leak-proof containers are heavy weight which keeps filled chemicals intact and also increasing shelf-life of bottles. These containers are mainly used for packaging of PVC Solvent Cement, Rubber Lubtricants, Paints, Adhesives solutions. Browse our product catelog for bottles of various size and shapes. We are located in Jalgaon, Maharashtra and we deliver in central parts of India. To help us understand your requirements better, feel free to contact us. Our Products are build with Premium Quality Raw Material & have excellent aesthetics. They are widely used in various industries. These Products are available in various, size, shape, colours and patterns. The Products are quite attractive and offered at competitive market prices and on time Delivery. We also offer customized/different shape for bottles based on customer requirement. Largest Manufacturer in North Maharashtra. 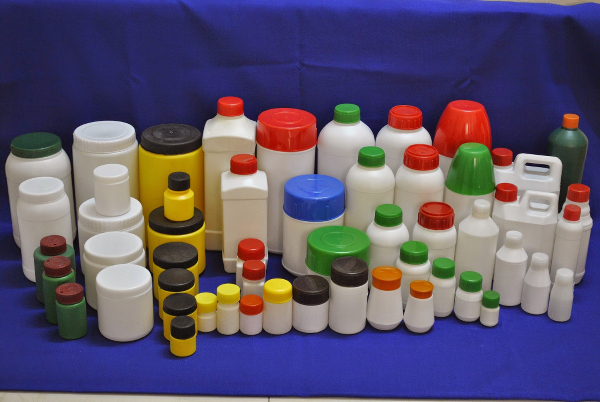 We are one of the leading manufacturers & suppliers of high quality HDPE (Plastic) Bottles, Containers & Jerry Cans along with Cap, Inners & PVC Shrinks. These are use for the packaging of solvents, adhesives, bio-organic products, pesticides & pharmaceuticals. To know more about these containers, please provide your contact details. We will reach you out as soon as possible.